For vegetarians, vegans and meat reducers, finding a quick but hearty meal that scratches the itch of a fast food craving is notoriously difficult. That’s why, in March 2014, Jane Yates and Katie McDermott founded Not Dogs: the vegetarian hot dog start-up that serves mouthwatering meatless toppings on Quorn bratwursts. By late 2016, the duo were in need of a funding boost to truly kickstart their business, and so they applied for the Start-Up Series competition: the UK’s largest monthly seed funding competition – run by Startups.co.uk and investment promoters Worth Capital – which now sees two fledgling start-ups per month win up to £150,000 equity seed funding each, along with business guidance from Worth Capital. Not Dogs won the December competition, taking home the funding and access to Worth Capital’s expertise. With this, they were able to launch officially in December 2016, opening a flagship restaurant in Birmingham’s iconic Bullring shopping centre. But that’s not all they’ve been able to do with their winnings. When we spoke to Not Dogs in April 2017, the duo assured us they had “a lot of things up our sleeve”, and with all that they have achieved in the six months since then – and in the ten months since they were crowned Start-Up Series winners – it’s clear that they were telling the truth. So, what is our December Start-Up Series winner up to now – and how could your start-up benefit from The Start-Up Series? Having started as a two-woman team comprised of just Yates and McDermott, by June 2017 Not Dogs had hired 12 crew members for its Birmingham restaurant. Though the business’ days as a team of two may now seem far behind, the start-up has also had the means to revamp the restaurant with added grass and bunting in a nod to Not Dogs’ early days, which Yates and McDermott spent serving up their offering from a pop-up food truck at music festivals. With their past experience in PR and online campaigns, Yates and McDermott have been engaging customers online from the start. But things have been supercharged since the pair’s Start-Up Series win, and Not Dogs now has over 12,000 social media followers. With a fun tone, recognisable branding and simple competitions, the business serves as a great example of how to engage customers and drive awareness of your business through social media. Their #SausageSelfie competition, for example, spans across Facebook, Instagram and Twitter and has been entered by hundreds of customers, all hoping to win free and discounted Not Dogs treats by sharing photographs of themselves with their vegetarian hot dogs. And the At the end of July 2017, Not Dogs partnered with high-profile veggie initiative Meat Free Monday to announce Meat Free Mondog – a competition which saw customers inventing new Not Dogs for a coveted place on the restaurant’s menu. In May 2017, Not Dogs’ achievements were recognised as the business was listed in the Startups 100 2017 – the index of the 100 most exceptional start-ups to have launched in the UK in the last three years – gaining national attention as one of the country’s most exciting fast-growth businesses. Having already sold thousands of heavily-topped dogs and with access to the resources needed to develop new dishes, last month McDermott and Yates introduced a range of new menu items, all of which keep innovation at the forefront. The new items include Not Pots, which see classic Not Dogs toppings loaded onto pots of rice instead of sausages; a range of five flavoured milkshakes; and new burger and hot dog variations, including a ‘chicken’ and ‘bacon’ burger and a unique hoisin ‘duck’-topped hot dog – all of which are entirely vegetarian. With fashionable personalisation in the mix, customers are now able to request their waffle fries to be covered in toppings of their choice, and capitalising on the ever-growing vegan market (according to Ocado, sales of plant-based foods in the UK increased by a staggering 1,500% in 2016) Not Dogs now offers a vegan version of every meal. Not to mention that when UberEATs – Uber’s answer to Deliveroo – launched in Birmingham in March 2017, Not Dogs became one of the service’s first launch partners in the city, expanding operations to enable courier pickup and delivery of the restaurant’s meat-free fare. 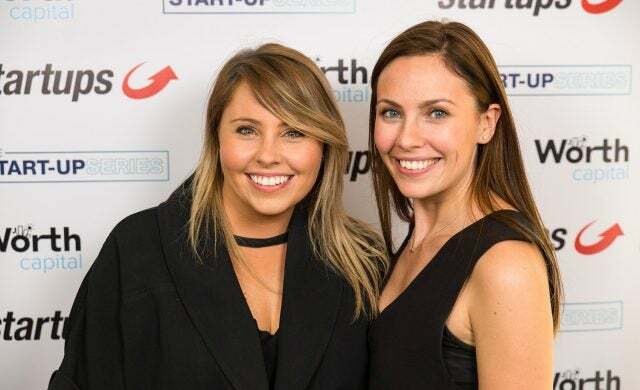 Not Dogs is one of many start-ups which have won the Start-Up Series competition and gone on to experience sensational growth. The Start-Up Series could give you the potential to attract customers to your business, research and develop new ideas, expand your product range, grow your team and more – with up to £150,000 equity seed funding and Worth Capital’s business support and guidance on offer to winners. New for October 2017, the Start-Up Series will now award two winners per month with equity investment from a £3.6m funding pot, and the competition is now open to both B2C (business to consumer) and B2B (business to business) start-ups. For your chance to follow in Not Dogs’ footsteps, register your interest for The Start-Up Series here. The November competition, which will award funds to two early-stage businesses, opens on Wednesday 1 November and closes on Tuesday 14 November.